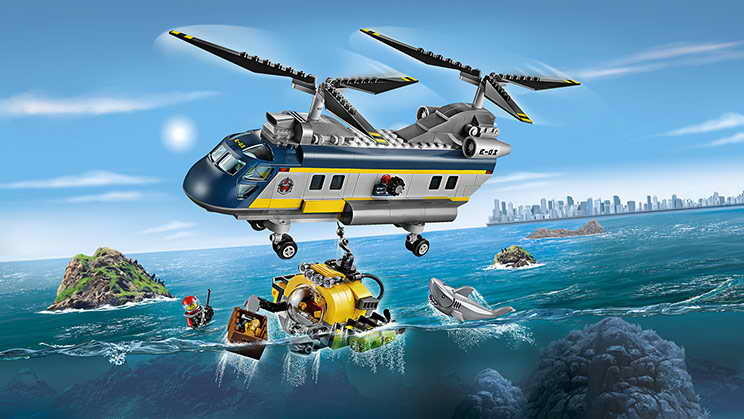 come with a helicopter, a submarine and a shark. 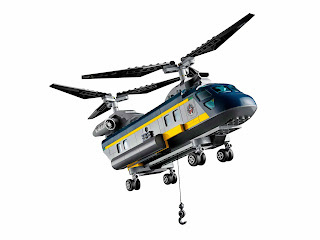 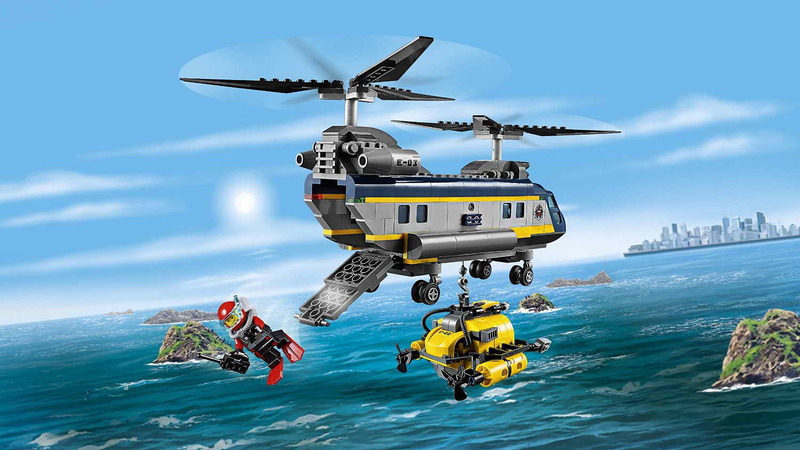 the helicopter has a big cockpit, spinnable twin rotors, a workable winch and an openable loading bay. 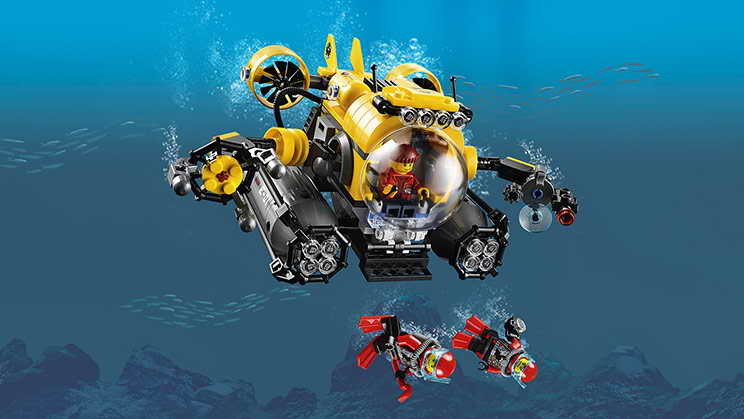 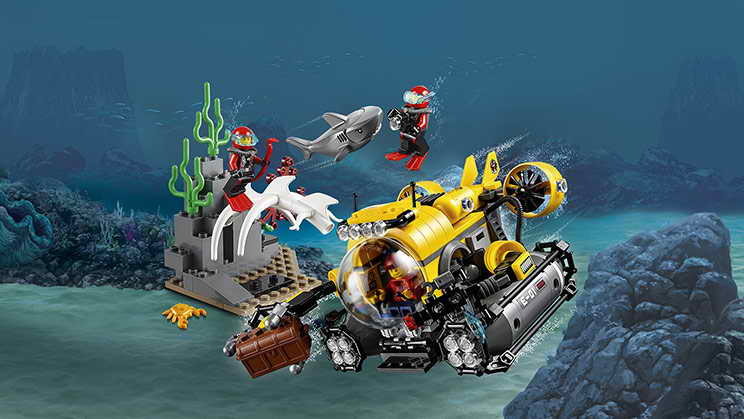 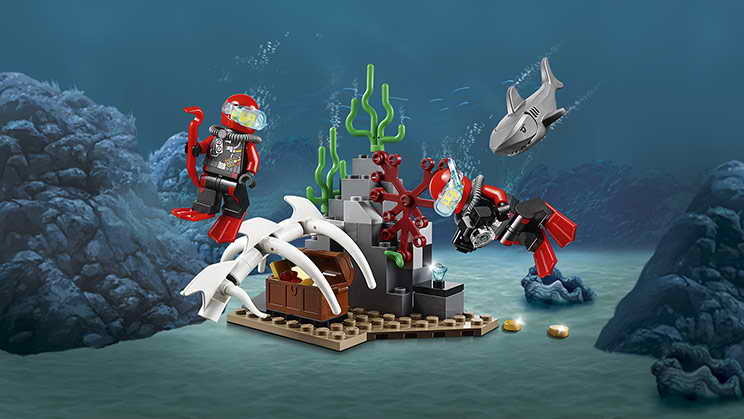 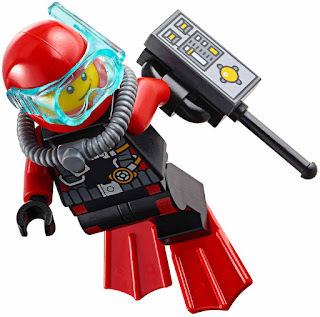 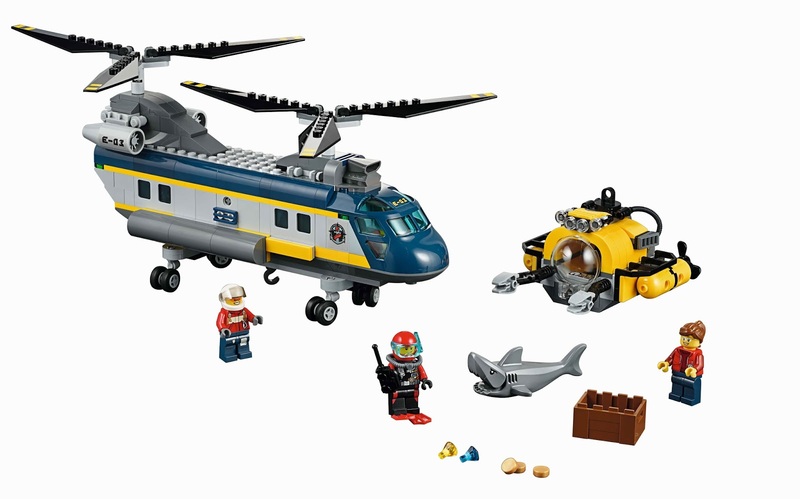 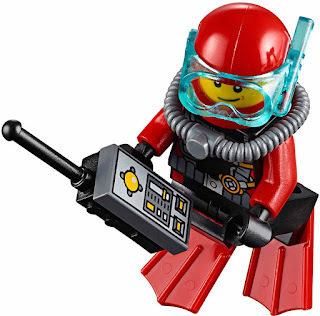 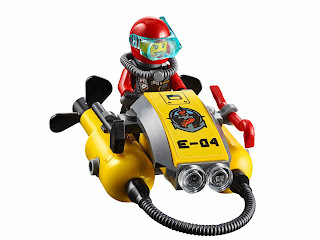 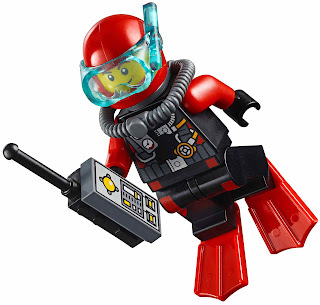 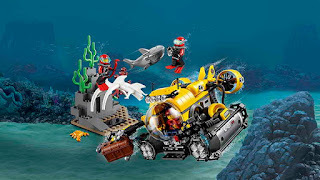 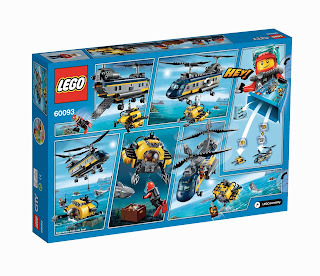 minifigs included a submariner minifig, a pilot minifig and a scuba diver minifig. 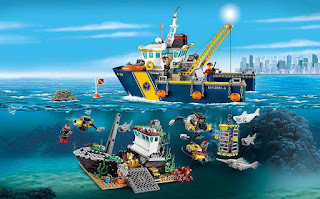 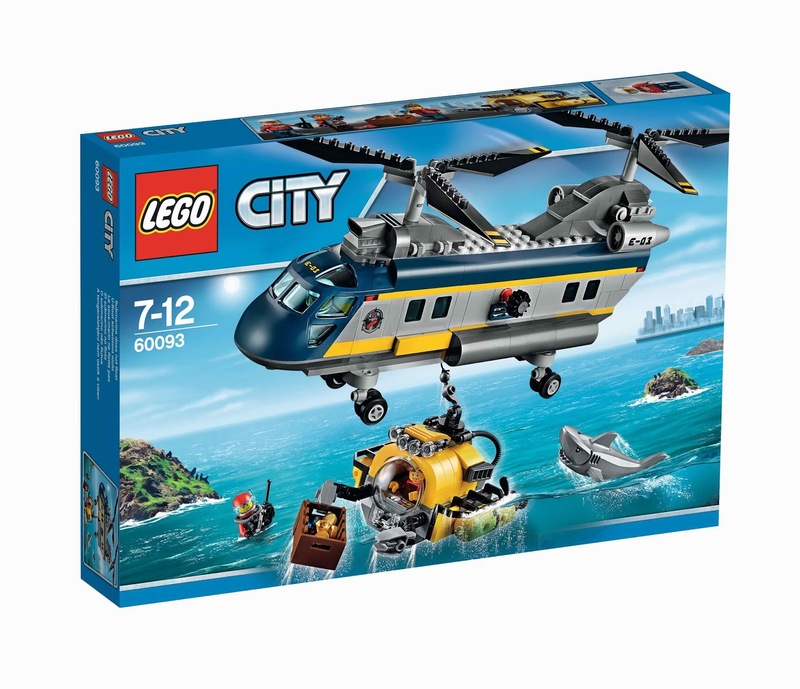 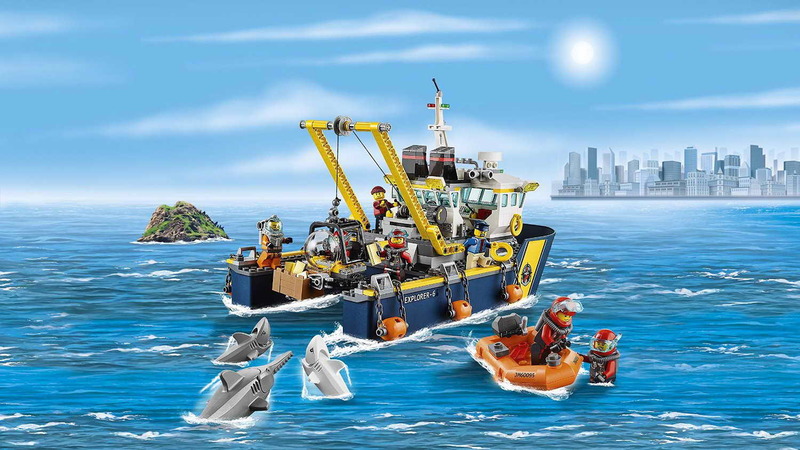 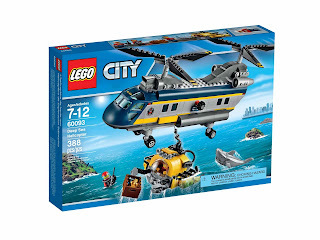 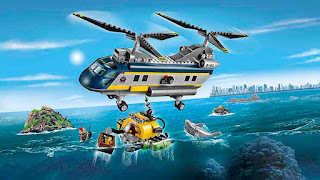 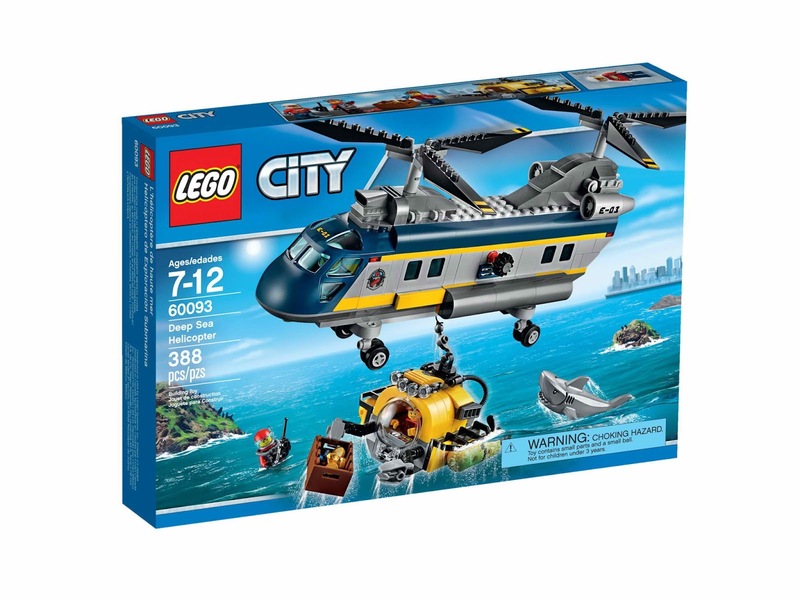 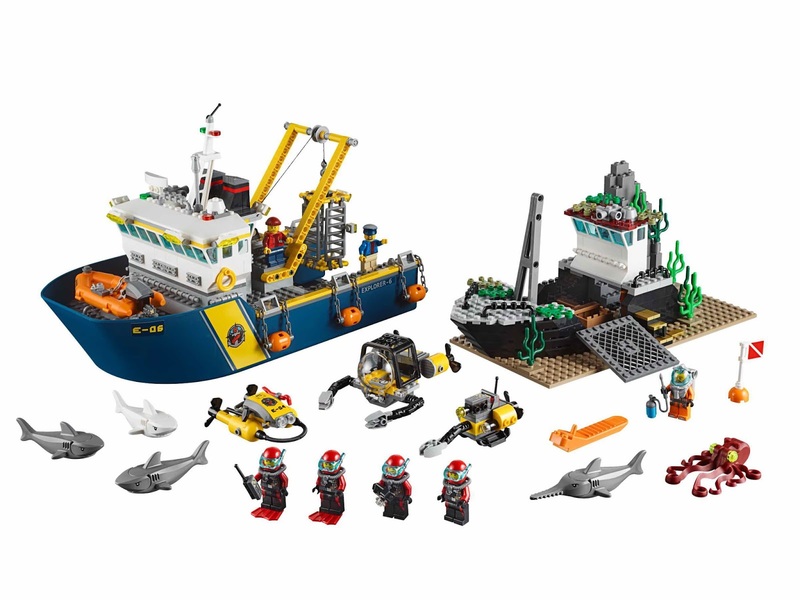 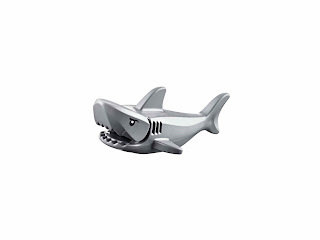 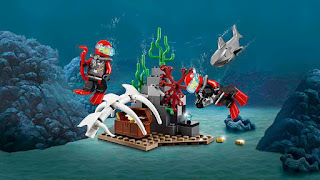 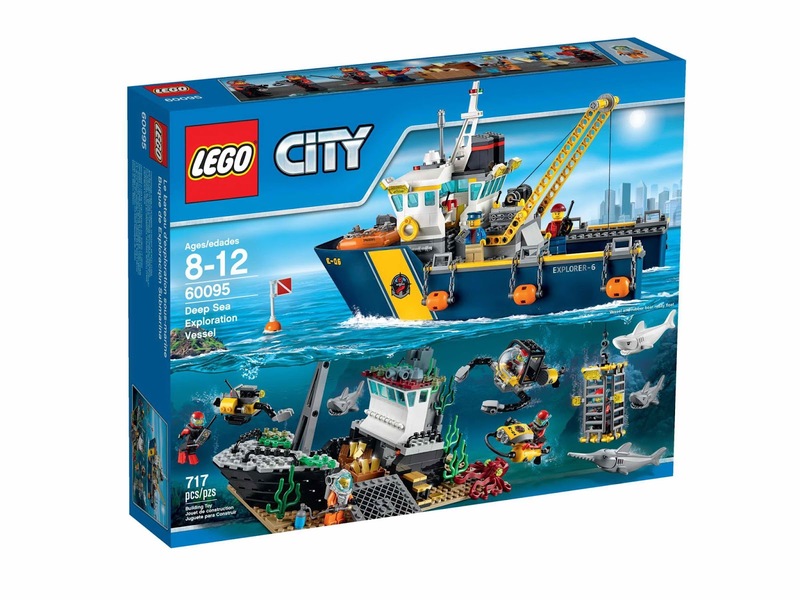 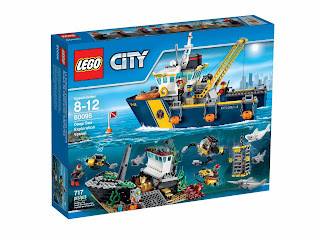 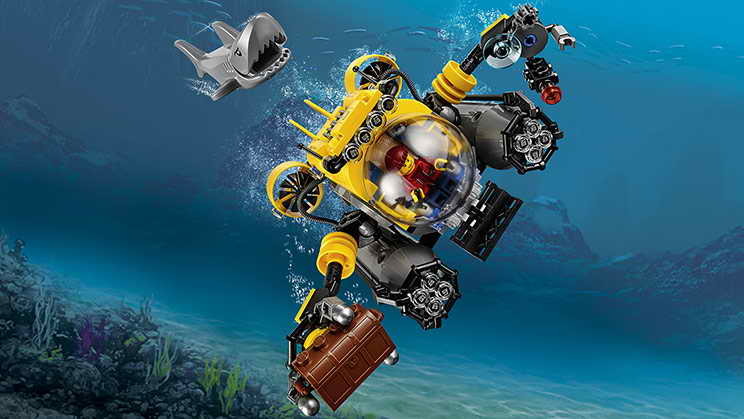 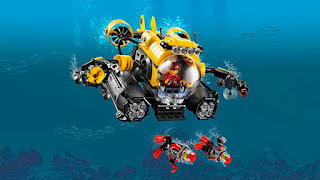 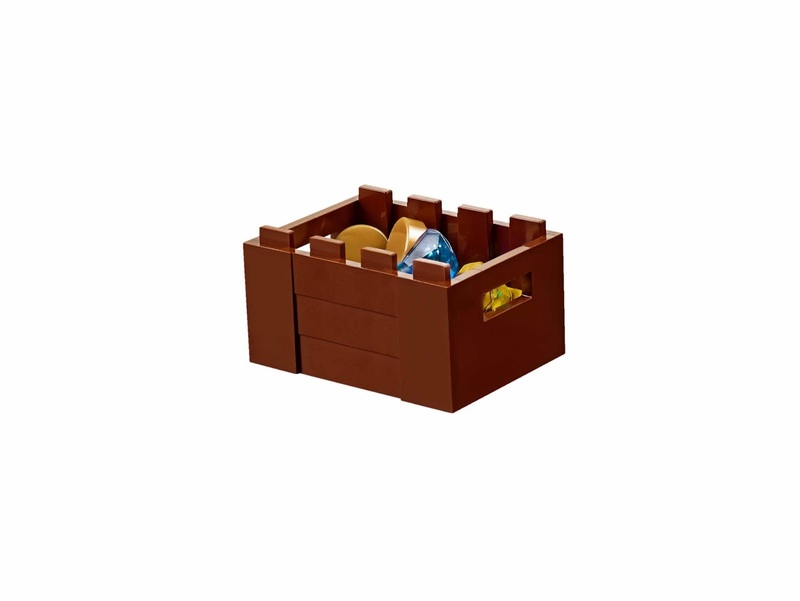 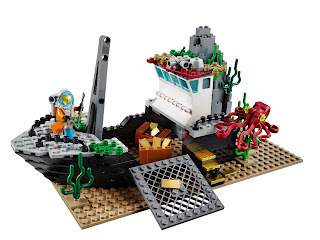 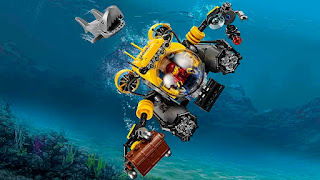 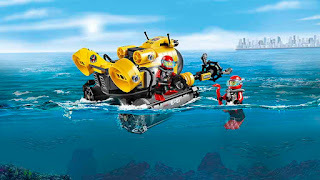 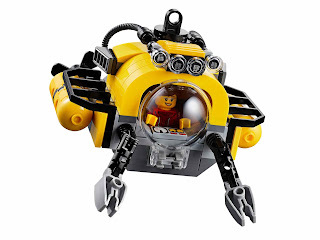 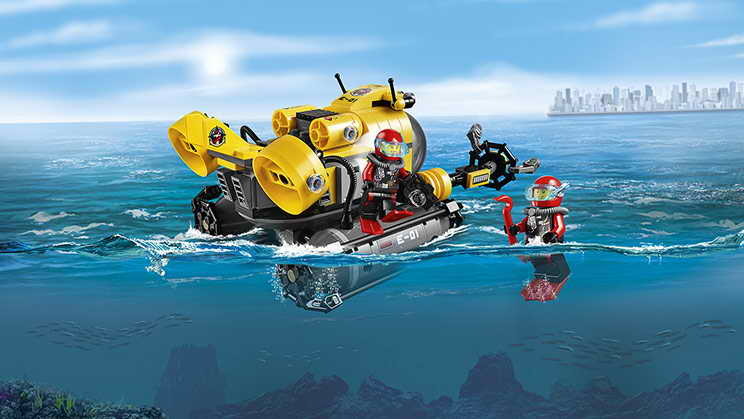 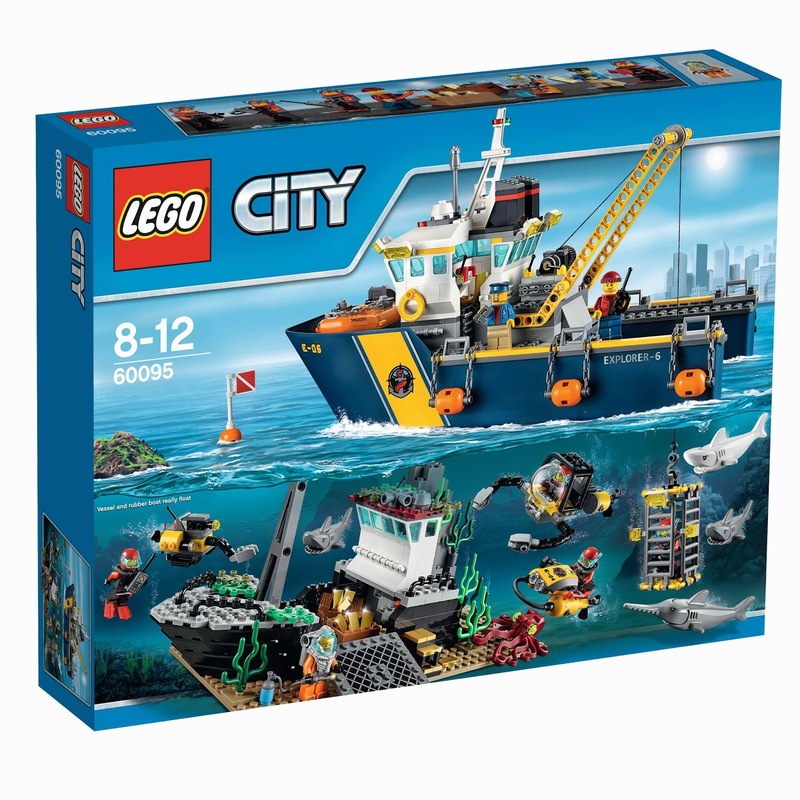 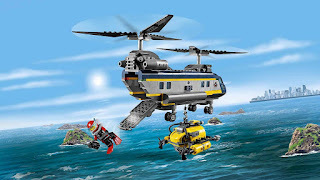 come with an exploration vessel, a domed cockpit submarine, a remote sub, a scuba scooter, a shipwreck with collapse function, a shark cage, a seaweed, a swordfish, an octopus, a white shark and 2 grey sharks. 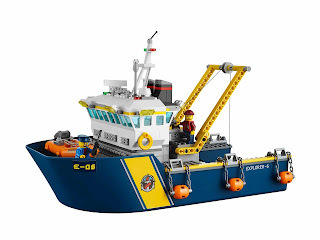 the vessel has a workable winch, a big wheelhouse, below deck cabins and a lifeboat. 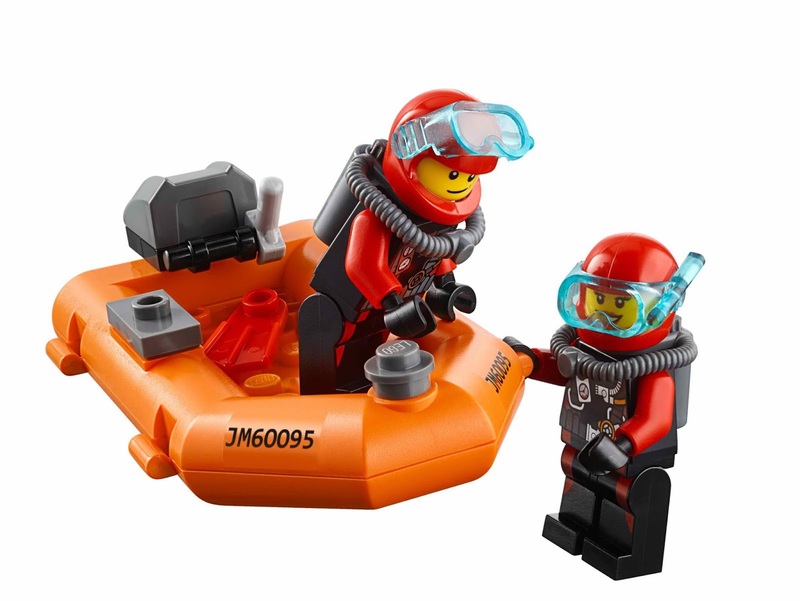 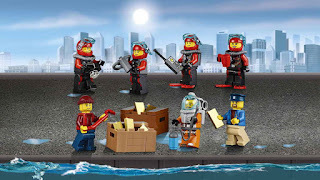 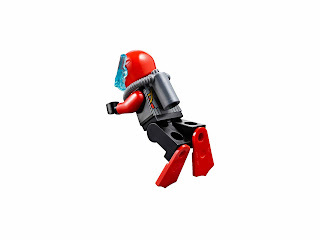 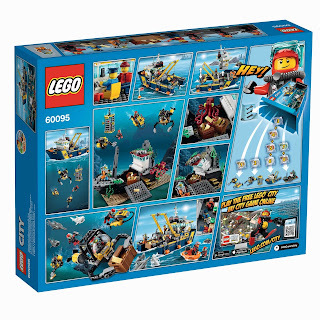 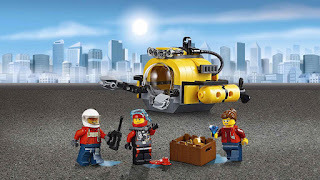 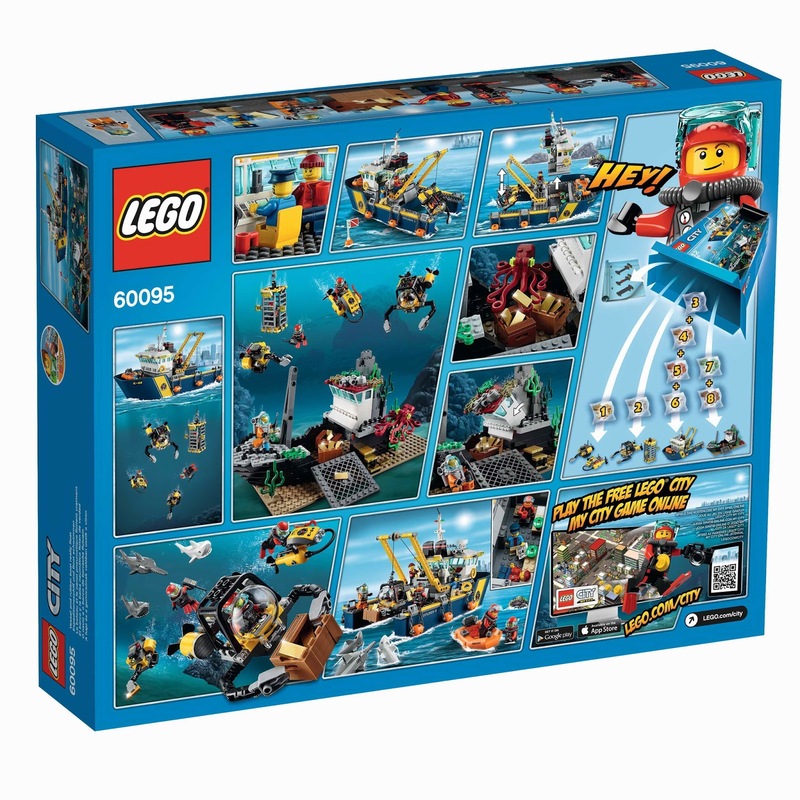 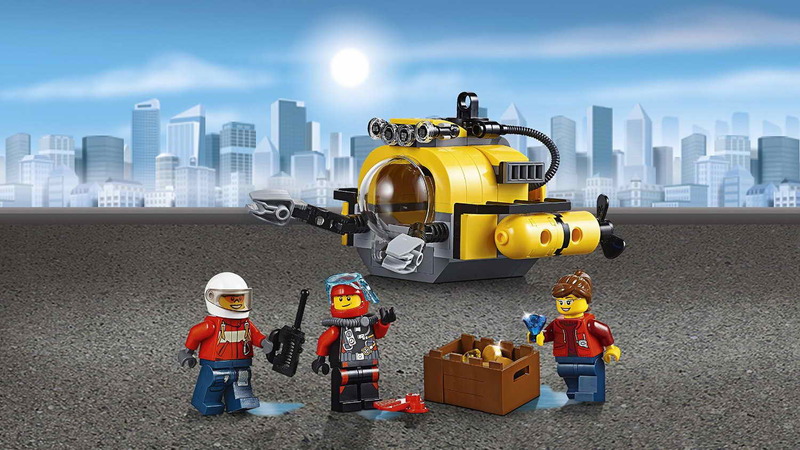 minifigs included 2 crew member minifig, 4 scuba diver minifigs and a deep sea diver minifig.